Fed up with readers using ad blockers to access its content for free, German publishing giant Axel Springer won a free ride of its own in a court appeal on Friday. 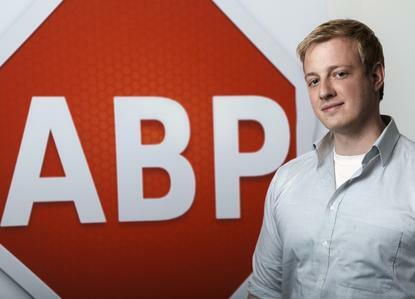 The publisher's lawyers have been trying to get ad blocking declared illegal in a series of suits against German software company Eyeo, set up by Till Faida and Wladimir Palant, the developer of Adblock Plus. Their efforts had been unsuccessful -- until Friday, when the Higher Regional Court of Cologne ruled that Eyeo could not charge the publisher for whitelisting its ads. Eyeo's business model has angered publishing companies and users alike. While AdBlock Plus can block all ads, a preferences setting allows it to whitelist "acceptable" ads so that they are shown by the browser. Eyeo encourages users to turn on this setting so that they can support publishers and encourage the development of unintrusive advertising. Eyeo does take money from some large publishers to fund its whitelisting effort, but says the whitelisting is performed independently based on objective criteria. Thanks to Friday's ruling, it can no longer charge Axel Springer to participate in its whitelisting service. "Normally, because Axel Springer would probably qualify as a 'large entity' per our rules, they would pay; but because of this ruling, we have to treat them as a special case," Eyeo's Ben Williams wrote on the company's blog. There's no question of blacklisting Axel Springer as a result of this ruling. "If Springer brings us ads to whitelist, and these fit our criteria, we'll whitelist them for free just like the other 90 percent of the companies on our whitelist," Williams wrote. Eyeo is going to appeal the latest ruling, saying it is confident the Federal Court of Justice will overturn the ruling forbidding payment. "The court decision sends a clear signal to ad blockers," said Axel Springer's head of content and commercial law, Claas-Hendrik Soehring. "We will not accept illegal interferences with our constitutionally guaranteed freedom in designing media products -- in particular, the 'cutting out' of ads from our digital media offerings."